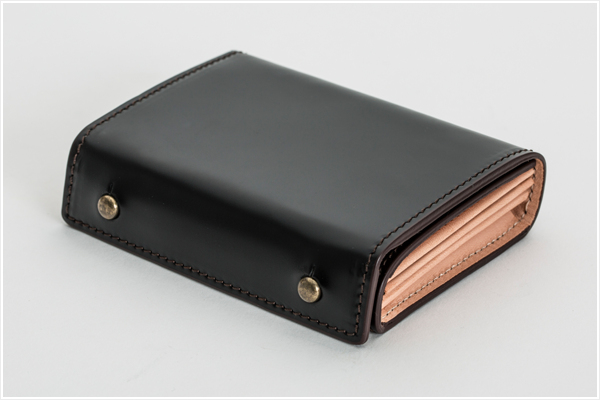 One layer【CORDOVAN】is used. A rare material deriving from beneath the rump of the horse. Only the inside is carefully tanned which brings extra smooth feel with a unique shine. A scarce and valuable material which also has durability. 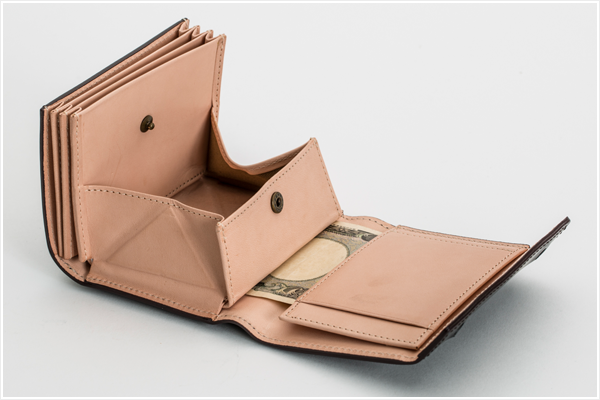 For the interior surface a quality tanned cowhide and light brown cotton for the inner interior where money and cards are in contact with the material. 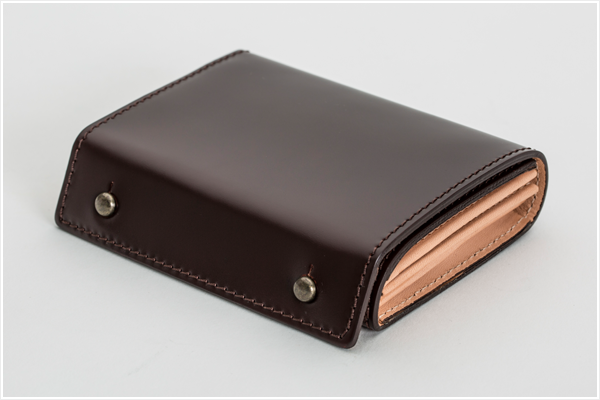 By using sturdy Cordovan for the exterior where there is outside contact and natural cowhide for the interior, you can enjoy a slower aging process. 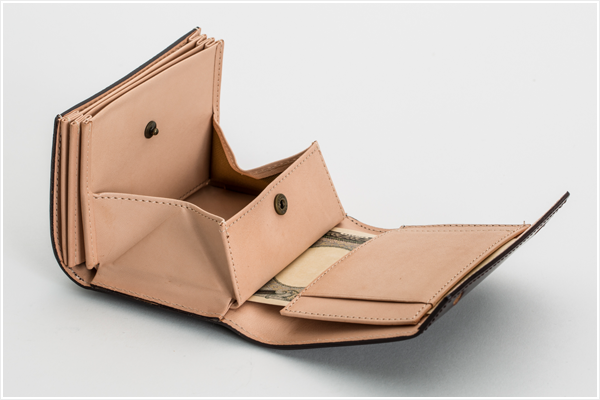 This fits approximately 10 paper monies, 15 coins and 15 credit cards.